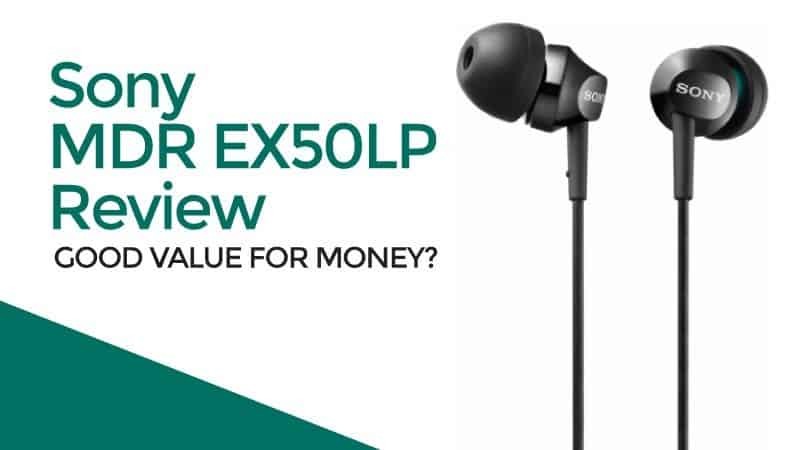 / Sony MDR EX50LP Review – Good Value For Money? There is truly no doubt that Sony is one of the leading manufacturers of electronics. The company is responsible for gems such as the PlayStation and array of audio headphones. Their products tend to be top quality and well worth their money. The Sony MDR EX50LP undoubtedly fit conveniently in this same category. Within this comprehensive review, you’ll learn all about these headphones, their sound quality and their most notable features. First and foremost, you need to understand that the MDR EX50 earphones are simplistic. You won’t find much in terms of aesthetics or color options. However, you shouldn’t confuse the headphones are ugly. Despite the affordability, they’re elegant enough to be used anywhere you go. Whether you’re working out at the gym or shopping in your local grocery store, these earphones will look good, while providing you with a great audio experience. The color options include black, white, blue and pink, so some degree of personalization is available. Earphones can be excellent, as long as they’re comfortable. In fact, the most experienced audiophiles will opt for in-ear earphones over headphones, as long as they can be worn comfortably for a lengthy period of time. With the MDR EX50LP, you won’t have a problem in this area. The small buds will fit comfortably into the ear and you’ll be able to seamlessly switch from one sleeve to another. The earphones come with three different sizes of buds, including small, medium and large. This guarantees that everyone will be able to find an ideal fit for their specific ear shape and size. Whether you’re looking for headphones or earphones, you’ll want to make sure you choose a set, which is fairly portable. Most consumers listen to their favorite songs on the go and do so with their smartphones. The Sony ﻿MDR EX50LP is perfectly configured for this specific task. First and foremost, the earphones are lightweight and very compact. This makes lugging them from location to location very easy and the included soft travel pouch delivers even more convenient portability. The pouch will allow you to keep the earbuds safe and dry no matter where you decide to travel. The mass majority of headphones utilize the standard 3.5mm jack and the MDR EX50LP is no different. This is definitely a plus and will help to ensure that the headphones will work with pretty much any audio device you have at home. Another thing to consider is the earphone’s use of 9mm neodymium magnets. This helps to ensure a solid performance, with very little interference or static along the way. The earphones are also equipped with a moderately lengthy cable, which will provide the user with plenty of freedom to move around, while jamming to their favorite tunes. Most audiophiles will put sound quality above all else. The good news is that the Sony earphones are capable of satisfying the majority of individuals in this category. Just remember that they’re fairly affordable, so you shouldn’t expect theater quality audio. However, the headphones deliver a nice mid-range sound and surprisingly ﻿﻿rich bass. The bass is controlled excellent and will not drown out the rest of the music. The earphones also deliver treble and cymbals very well. The only caution to note is the lack of noise isolation. Although the design of the earbuds help to some degree, outside noise can still penetrate through to some extent. 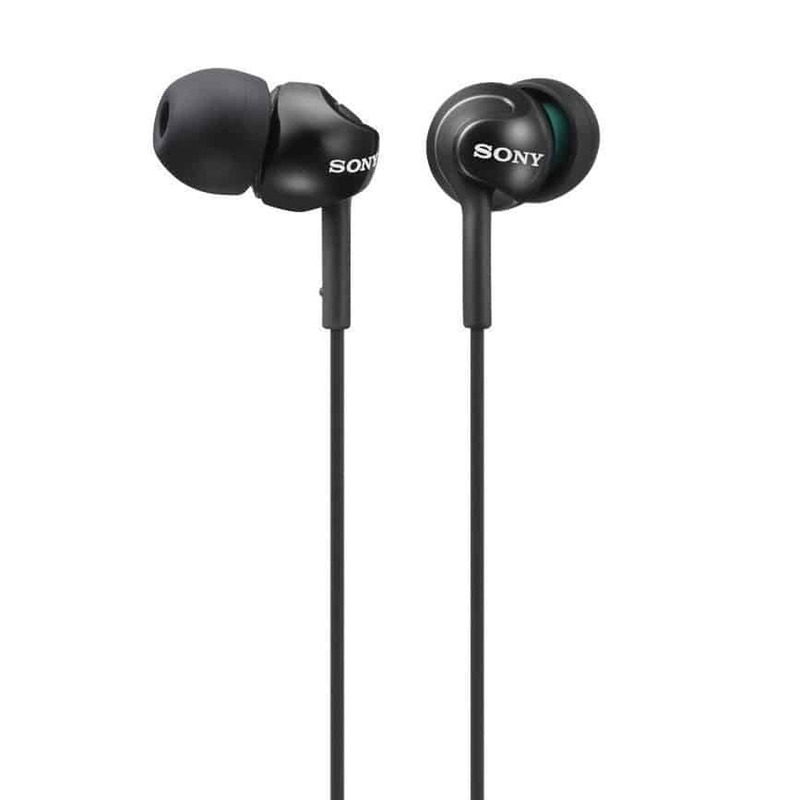 When it comes down to it, the Sony MDR EX50LP will prove to be an excellent pair of earphones for many music lovers. For very passionate audiophiles, who want the best of the best, they may lack too many features to be worth the investment. Still, there is plenty to like from our review, including the affordability, comfort, balance, compactness, and easy portability. For the price, it is truly impossible to lose with these earphones, even if you only intend to use them as a backup. Q: Have these got a straight jack or L shape? Q: Do you get the spare different size buds for these?